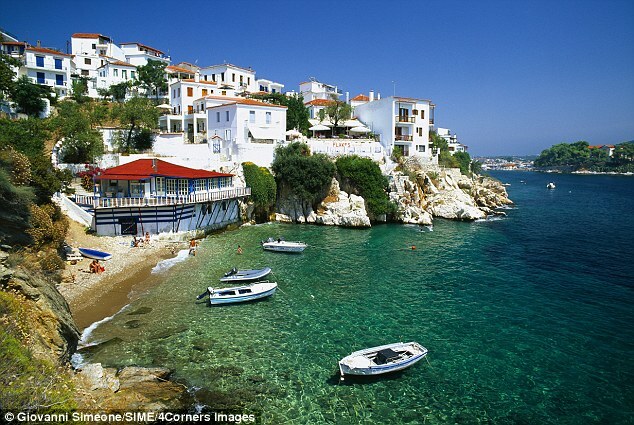 Skiathos is a popular Greek destination with the British holidaymakers. 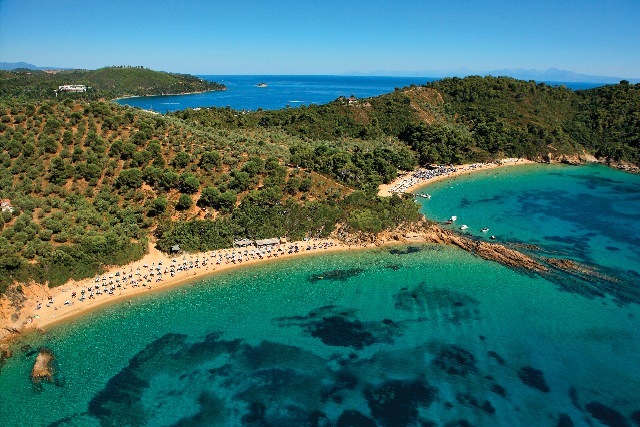 Skiathos is a small Greek Island, typically mediterranean boasting of a coastline indented with beautifull sandy beaches and secluded coves, making this Idylic location a favourite for a family holiday. 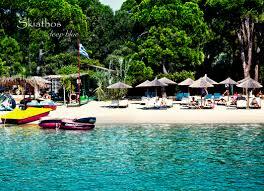 Skiathos capital is the Town of Skiathos with the airport are located next to a lagoon. Amongst its most popular resorts are Trulos, Vromolimnos, Koukounaries, Asselinos, Megali Ammos and Mandraki. Skiathos scenery was used in the film Mamma Mia which was partially filmed on Skiathos and nearby island Skopelos. Skiathos holidays are recommended for family holidays who which to combine the pleasures of the quality sandy beaches of calm warm waters with interesting excursion both by couch and boat and some very good value shopping. Nightlife in Skiathos revolves calmly around a good selection of Bars, restaurants, tavernas and some very Greek discos.